Niccolo Machiavelli was a privy to much of the political activity in Renaissance Italy. In 1512, the roller-coaster political ride of any state took a major dip for Machiavelli as he was banished for suspected treason. It was during this time that Machiavelli decided to write down a guide for state rulers, which he named "The Prince." 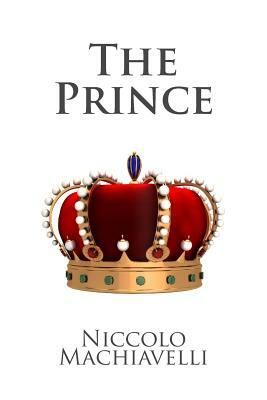 Dedicated to Lorenzo De' Medici of the Italian ruling family, Machiavelli's book begins by describing the various types of states and principalities. A ruler might find himself over a state that he inherited, or he might find that he is now ruling over a state that he has conquered. These states cannot be handled the same way. Depending on the type of state, the ruler has to be able to adjust how he rules to be effective. He even explains how a ruler who acquires the throne by evil means has to handle his subjects differently if he is to stay in power. Machiavelli addresses the many situations that can bring a ruler to power and the attention required by each. What types of troops a ruler should desire, how to approach military matters, and how to be viewed by subjects are all discussed--in addition to treachery, piety, and weakness. Machiavelli approaches the entire subject objectively: "A prince, therefore, must be indifferent to the charge of cruelty if he is to keep his subjects loyal and united." Machiavelli creates a handbook that rulers even today would benefit from reading. Ruling a state is not easy. The choices a ruler makes determine the how his or her reign will end. Throughout the book, Machiavelli gives advice on how a ruler should be wary and wise: "Hence a prince ought to be a fox in recognizing snares and a lion in driving off wolves." This is a must-read classic for anyone interested in history, business, politics or meglomania. It has inspired many of history's most powerful leaders (several of which, it has been said, slept with this book under their pillow) and with good reason. Niccolo Machiavelli (1469 -1527) was an Italian philosopher, humanist, and writer based in Florence during the Renaissance. He is one of the main founders of modern political science. He was a diplomat, political philosopher, playwright, and a civil servant of the Florentine Republic. He also wrote comedies, carnival songs, poetry, and some of the most well-known personal correspondence in the Italian language. His position in the regime of Florence as Secretary to the Second Chancery of the Republic of Florence lasted from 1498 to 1512, the period in which the de' Medici were not in power. The period when most of his well-known writing was done was after this, when they recovered power, and Machiavelli was removed from all functions.